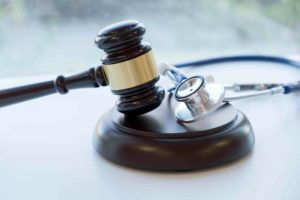 When Should I Hire a California Brain Injury Lawyer? Brain injuries can completely turn your life upside-down. After a bad accident, you might be unable to walk, talk, think, or remember as well as you once did, all of which are signs of a brain injury. If you suffered a bump to the head, or if a blow to the body shook your head forcefully, you might be entitled to compensation. Please speak with a California brain injury lawyer first to learn more. What are Brain Injuries That I Should Be Worried About? Open injury: something penetrates the skull and possibly damages brain tissue. For example, getting shot in the head is an open injury. Closed injury: nothing penetrates the skull, but your brain shakes so badly inside your skull that its normal functioning becomes impaired. You have trouble with balance and coordination. You experience intense headaches that do not lessen. You experience convulsions or seizures. Your short-term memory is impaired. Your normal sleep patterns become disrupted. You experience mood swings when you did not have them before. All are signs you might have suffered a concussion or other traumatic brain injury. Are there Other Brain Injuries? Yes. Not all brain injuries are caused by trauma. Oxygen deprivation can also lead to the death of brain cells and many of the impairments you see listed above. For example, if you almost drowned, then you might experience an anoxic brain injury. How Does a Lawyer Handle Brain Injury Claims? Then we will collect evidence to show who is responsible. You can sue this person for compensation to cover medical bills, lost income, and other intangible losses like depression, anxiety, pain, and inconvenience. Can I Make a Full Recovery from a Catastrophic Injury? The key will be to improve the patient’s functioning as much as possible. If you suffer a mild or moderate closed head injury, then it is often possible to recover well enough to maintain your independence. Other patients with catastrophic injuries will require permanent help. A brain injury often raises many questions: How will we afford this medical care? How will we pay our bills? Fortunately, California law allows victims to receive compensation when someone else’s negligence has injured them. Contact the Allen Law Firm today. A California brain injury lawyer will meet with you to discuss your case. Please call 831-901-3901. We offer free case consultations. Can I Be Compensated for My Pain and Suffering after an Accident?